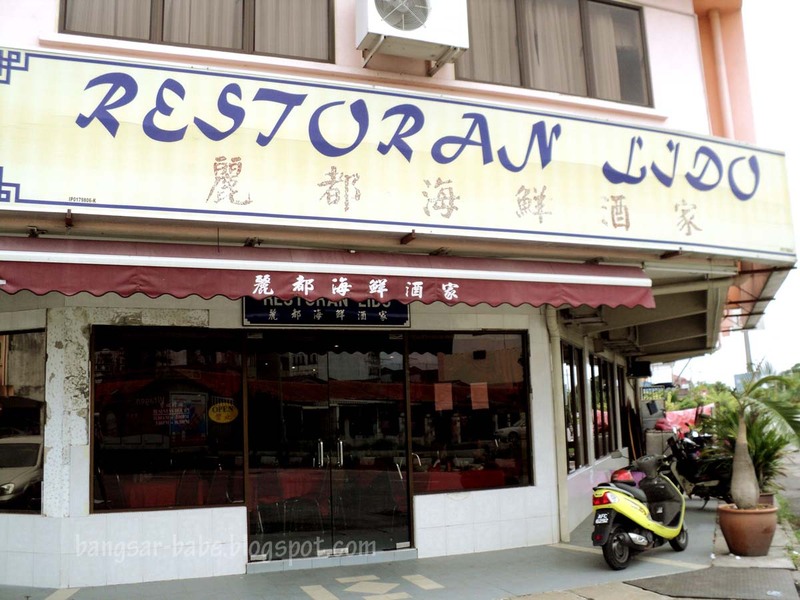 I managed to squeeze a quick lunch at Lido Restaurant before heading back to KL. The restaurant opens for lunch and dinner, and it also caters for large functions and wedding dinners. We ordered the crispy bean curd, sweet & sour pork and Hock Chew loh mee. 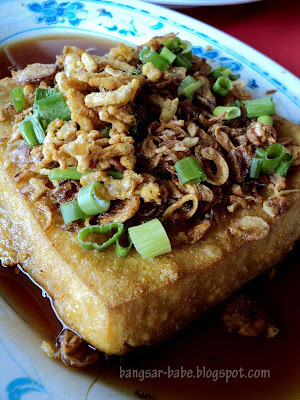 The bean curd (RM8) was deep fried until golden brown and crispy on the outside, and topped with light soy sauce, fried shallots, spring onions and dried shrimp. Simple, yet scrumptious. 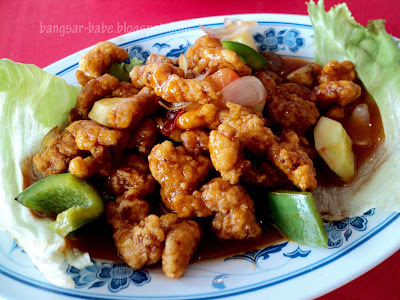 Sweet & sour pork has always been one of my favourite Hock Chew dishes, and Lido serves a mean version of this dish (RM10). The pork was succulent, with a good amount of melt in the mouth fat. I liked that the sauce wasn’t overly starchy and it had a good balance of sweet and sour. rif liked it too. The highlight of lunch was the Hock Chew loh mee (RM9). Unlike Bei King’s insipid version, Lido’s had plenty of wok hei and the thick gravy was flavourful from the pork slivers and prawns. I ate everything, right down to the last drop of soup. I enjoyed my short trip back to my parent’s hometown, but since I didn’t get to eat my kampuang noodles, pillow pau and kompiang biscuits, I’m already thinking of another visit up north! Verdict: My favourite place for sweet & sour pork. 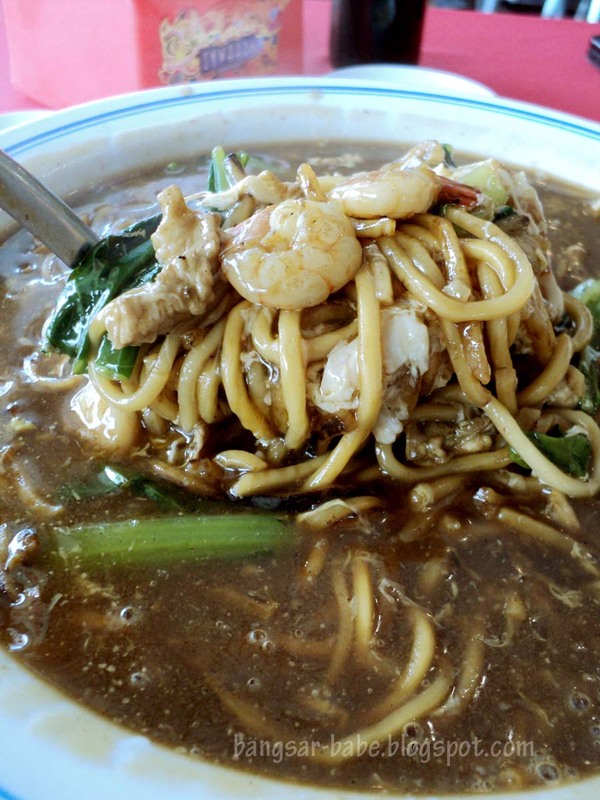 And try the Hock Chew loh mee! SimpleGirl – Do try. I'm already itching to visit the place again! We visited Lido 2 nights ago, on our way home to Singapore from a fishing trip to Pangkor. 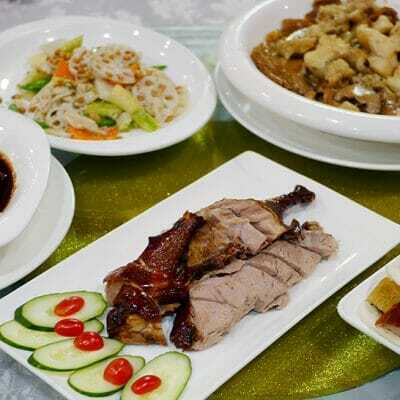 We were looking forward to Fuzhou or Hockchew food of this area settled for several generation by the early migrants from Fujian Province in South Eastern China. We were not disappointed with their offerings of meesua, a thin wheat noodle in red wine soup, their braised pork ribs and fried fresh sweet potato leaves. Other offerings on the menu looked very attractive and interesting and will be reserved for our next visit. Service is good. The place is bright and clean and unpretentious. Prices are very reasonable.